Ever since it's release, I have longed to try items from Wet n Wild's Fergie Center Stage Collection. But unfortunately, I just wasn't having any luck finding a display of it in stores. I strolled into a nearby CVS last weekend, and while browsing the beauty isle-as per usual, I finally spotted the collection in the Wet n Wild display! Needless to say, I was ecstatic. Of course I hauled a couple of things from the collection, one of them being the Desert Festival Photo Op Eyeshadow ($5.79) compact. 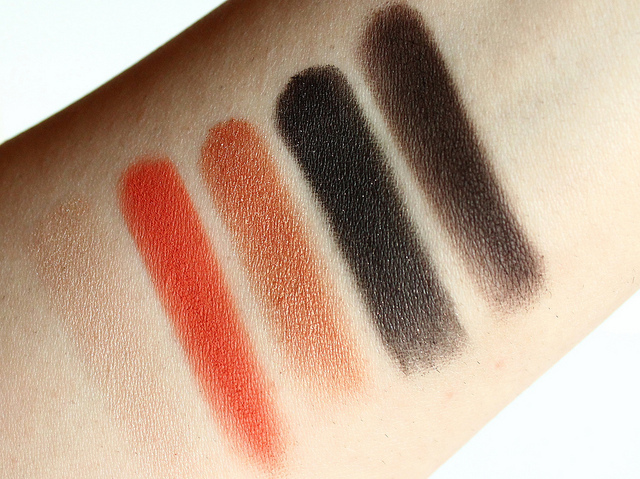 If you love intense and sizzling neutrals, this set of shadows are ones you don't wanna miss. 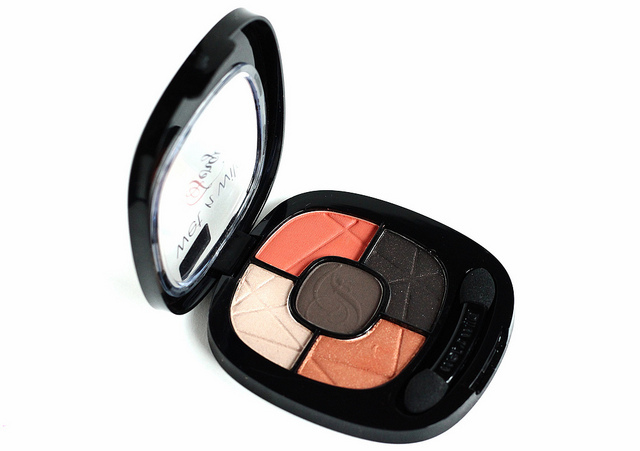 Desert Festival is comprised of five warm eyeshadows, that definitely take neutrals up a notch. There is a lightly shimmered beige (great for highlighting the brow bone and inner corners), a matte burnt orange (looks amazing on lids), a shimmered copper/bronze, a shimmering deep brown with glitter bits, and a matte chocolate brown. All of the shades compliment each other beautifully, and being that I myself am a neutral eyeshadow lover, these hues are right up my alley. I am almost always impressed with Wet n Wild's eyeshadows, so it's no surprise that the ones in the Desert Festival compact didn't disappoint. All of the shades offer nice color payoff, and the eyeshadows have smooth textures that are easy to work with. I will say that the two deeper brown shades are a little patchy. But they are still smooth, nonetheless. Because the eyeshadows are so soft, they are on the powdery side and prone to fall out. To lessen the fall out I recommend patting the shadow onto the lids, instead of swiping it on. A light blending motion also helps. Atop an eyeshadow primer, these shadows hold up incredibly well. At the 7-8 hour mark, I noticed that the eyeshadows looked just as good as they did when I first initially applied them. These definitely have the ability to last, with very minimal fading by the end of the day. Swatched on bare skin, no primer! 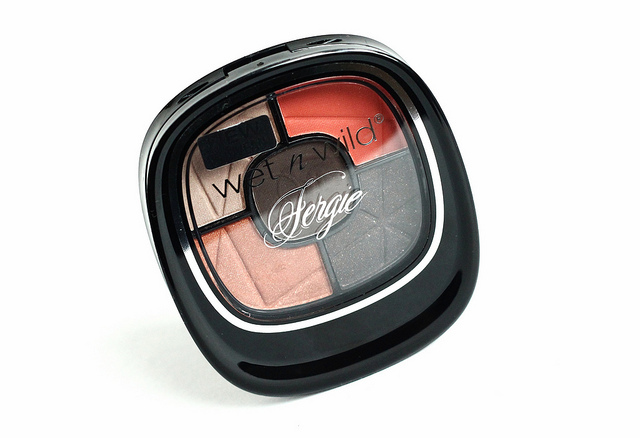 Overall: The Desert Festival Photo Op Eyeshadow compact from Wet n Wild's Fergie Center Stage Collection is quite a refreshing batch of neutrals in my stash. The burnt orange paired against the bronze and browns make for a delightful and interesting look. These colors are great for all year round, but I think they are particularly stunning to sport on a summer evening outing. I am definitely going back to pick up a few more of the Photo Op Eyeshadow compacts! 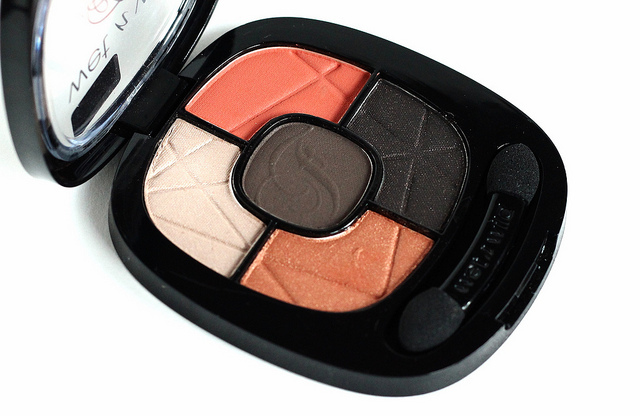 What do you all think of the Desert Festival Photo Op Eyeshadow compact? Have an awesome weekend, lovelies!